I am pleased to say monthly updates for my maps for November 2018 are now available. 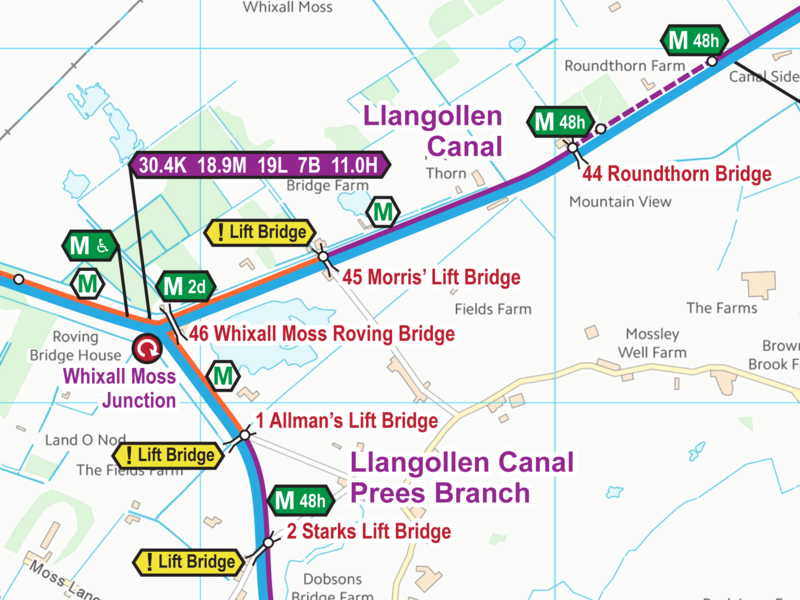 Extract from Llangollen Canal Map in November 2018. All the maps have updates this month as Ordnance Survey (OS) have just released a new background map so that has updates even if there are no updates to the waterways. I had just prepared issue 81 of my maps when the OS released the update so I prepared a new set of updated maps with the new OS background maps as issue 82 which explains the jump in issue number from 80 to 82 between October and November.